This is my list of the best gardening tools I’ve found, helpfully organized with links to my favorites. They also were impressed enough with my review that they later became a sponsor of this site. They’re great people making a great American tool. When you buy one, tell them David The Good sent you! Stainless and well-built. I’ve always been a sucker for the look of stainless steel. Stainless is good if you leave your tools out, as I may do… all the time. The handles on these are quite nice and similar to those on the Clarington Forge tools, such as this next spade. I love Clarington Forge tools. So much so that I used to be a distributor. The heads are made from solid forged steel in England. They’re one of the last tool companies that hasn’t been eaten by the hollow promises of Free Trade and outsourced to China. They cost more for a reason: they’re tools that last for generations, unlike the many Chinese tools I’ve broken over the years. Sharpen the edge of that sucker with a file and it’s a root-cutting machine that will last through the Apocalypse. The oscillating blade self-sharpens and decapitates weeds without you having to chop at the ground. Very good tool. I love all the tools I’ve gotten from EasyDigging.com. 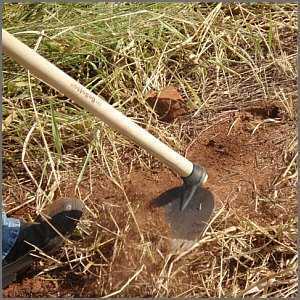 I use their hoes regularly for shaping beds, moving earth, planting trees, digging ponds and of course, chopping weeds. Solid forged steel means they last forever and take a really good edge. If you already have a grub hoe and/or a grape and adze hoe from EasyDigging.com, why not add this vicious little earth mover and ground clearer to your collection? These suckers are made from reclaimed disc blades. Nice. And these classic Felco pruners are what I use when working on my fruit trees and doing grafting: I’ve been using these pruners for multiple years now and they’ve well out-lived all the cheap pairs I owned before. The Planet Whizbang Wheel Hoe is practically indestructible and turns the job of weeding a big space into a quick and pleasant task. 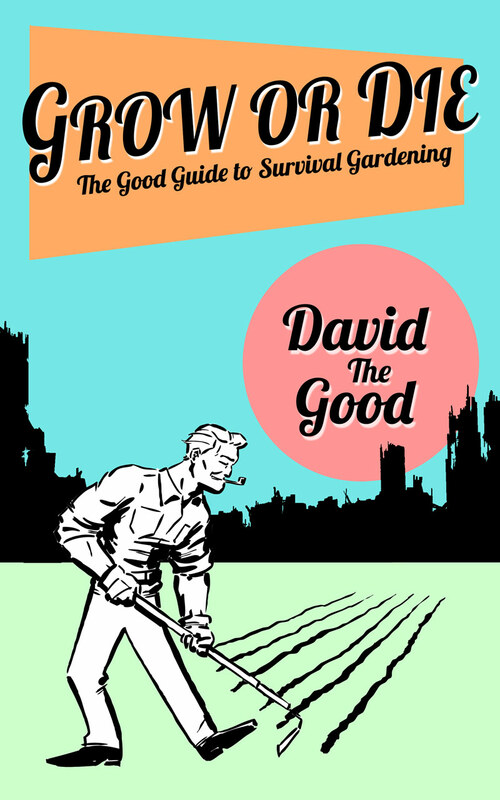 I’ve plugged this wheel hoe in my book Grow or Die: The Good Guide to Survival Gardening as well as in my popular film 13 Tips, Tricks and Lessons from Homesteading an Acre. Go get one. It’s wonderful. 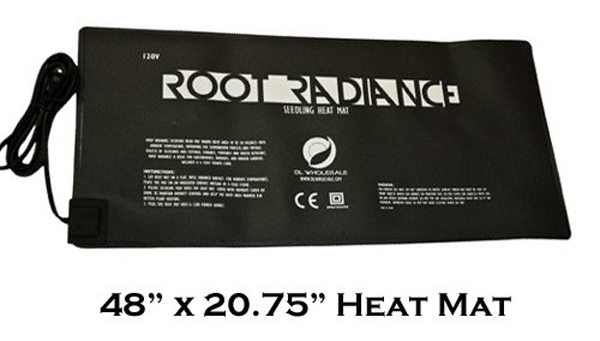 For anything that you want to get going early, a heat mat gets it done. It makes a big difference when rooting cuttings as well. I made back the cost of the mat the first time I started a round of seedlings on it in February. You can cut down a small tree in seconds with this saw. I have the large-toothed version but they are all highly rated. Excellent for fast, clean cuts when you graft or open up limbs to let more light into a food forest or orchard. The Ontario military machete is a serious tool and will serve you well whether you’re clearing brush or harvesting bananas. Attractive and nice for jungle treks. I usually use a cheap utility blade in my grafting, as demonstrated in my instructional film, but I really like this knife and its options. 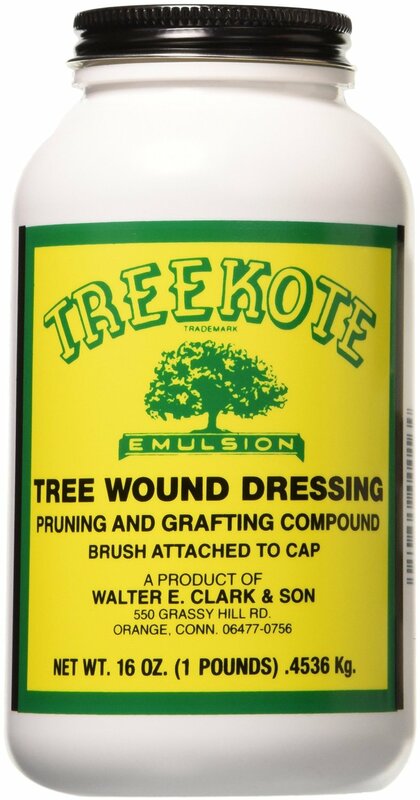 While we’re on the topic of grafting tools, Treekote tree wound sealer works very well and dries quite quickly. Treekote is my favorite choice for grafting projects and is the same sealer I use in Get Grafting! 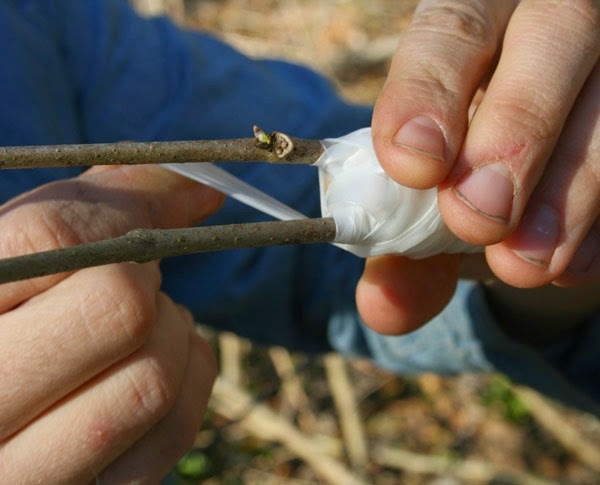 Stretchy and waxy parafilm tape works great for grafting. You can wrap it over a scion to prevent it from drying out and the new buds will simply grow right through the parafilm. Good stuff. 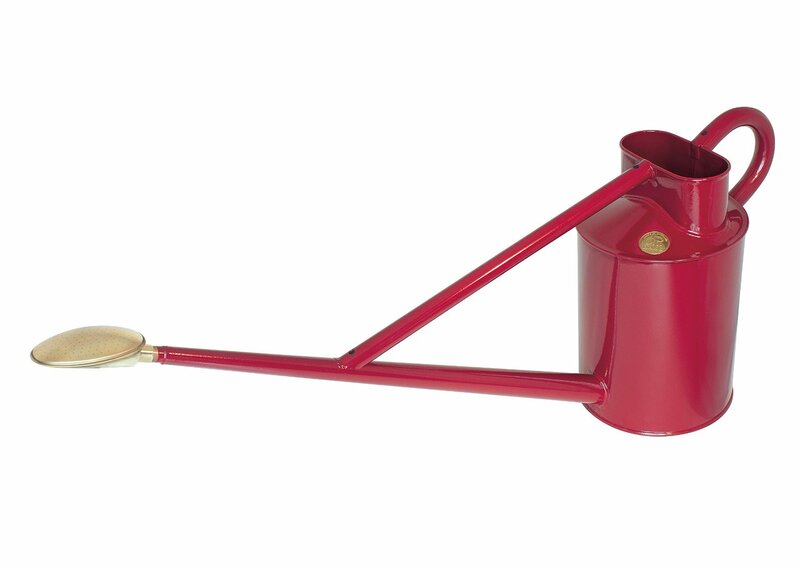 I’ve wanted a Haws watering can for a long time but just can’t bring myself to spend the money. Frivolous of me to want one, perhaps, but the capacity, longevity and gentle rain pattern of this classic are hard to resist. Maybe I’ll put it on my birthday wish list. I bought three of these Korean weed cultivators from a friend at the 326 Community Market and we’ve found them very useful for our vegetable gardens. Rustic-looking but quite effective, especially once sharpened. 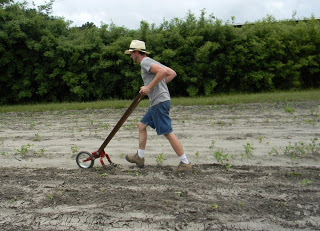 My wife loves using hers for weeding and making seed furrows. If you have rougher grass, weeds and brush to cut, I also recommend springing for a bush blade. I prefer one of those as my primary since I usually grow polyculture food forests with more than just easy-to-fell grass. A scythe stone is a must-have as well, since frequent sharpening is very important for efficiency. If you have tall trees with lots of fruit, you’ll also want a fruit picker basket. We use ours all the time, attached to a long bamboo pole. They’re great for peaches, citrus, mangoes and more. *Note: if you buy anything through one of my Amazon links, I make a small percentage on the sale and it doesn’t cost you a penny. Thank you! Did I miss any of the “best gardening tools” on your own list? Let me know in the comments. Another wonderful tool is the Japanese Kama. I ordered this one from Amazon. and it looks like they don’t have them in stock. Maybe later. It slices gently into the earth with its tiny sharp edge, to get at weeds near other plants. it scuffle hoes on a small basis. peace love and food forests. Thank you, Gail. I haven’t tried one yet but I’ve had a kama on my “must try” list for a long time. Also, I feel silly asking but could you explain the different uses for the different types of spades and hoes? One hopes that no one will actually buy the snath herein recommended. Visit these guys, scythesupply(dot)com. Note on the opening page the snath pictured. The scythe and snath this writer bought from them weighs 4 1/2 pounds. The snath is fitted to the owner. They will ask for one’s height and certain arm measurements. My understanding of the above wavy snath, it is what one sees on the English scythe, and need a lot of body contortion to keep the blade level and parallel with the ground. The Austrian or ‘Swiss’ snath, with the blade pictured here or those from scythe supply need only a rotating hip motion to use, that is, no arm swinging. I find that if my arms are tiring, I am gripping too tightly. Watch the video to see the technique. Save you arms. I’ve always used my American scythe without issue. One of these days I’ll get around to trying a European one. Maybe when I’m a bit richer. 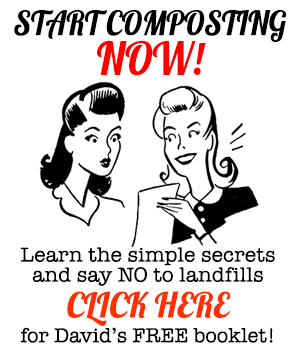 Scythesupply.com is a great resource. Oh my!!! I see that the snath pictured above weighs 6.6 pounds, without blade; (though blade weight is negligible). Might I recommend the hori-hori knife. I find it much superior to the typical garden trowel. Mine is so old that I don’t remember what brand or where it came from. 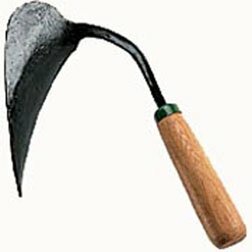 Just the thing for transplanting or digging that large rooted weed. Yes indeed – that’s a good addition. I just tried mine out for the first time and I was extremely impressed. Great tool! I got the Cielcera brand on Amazon. 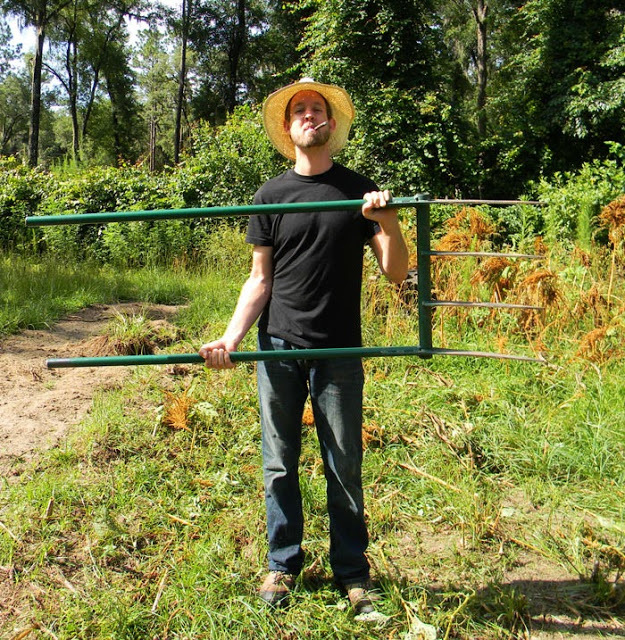 Saw your recent video (attacking the beds in Colombia– after you said “the heck with it'”) with Rachel using the broadfork…it looks like it works great…now I really want one! When you get the chance,would you please do a video on the care & maintenance of such tools? 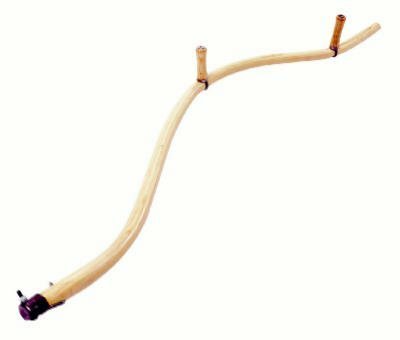 ~Yes sirree bob– if you have fruit trees get the long handled fruit picker! Love the videos, especially the pancake challenge & Yamfit (who new yams could be so funny??) ..& glad that no sisters were harmed in the film. My daughter and I loved Rachel’s cooking video– said daughter had me chase down some green bananas from the store so she could see if they were indeed potato-like when cooked! Please pass the good word to her! ~Maybe we could float a van to you…might get there quicker than yours getting fixed in the shop? Thanks for the fun & info. 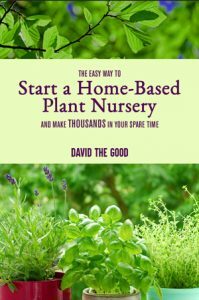 packed gardening videos! I bought mine from the local mango orchard and it is 100x better than the usual claw type. Too bad I couldn’t have found the Clip N Pick 20 years ago. That is beautiful – never saw one like it before. Thank you. I am a fan of GrowOrganic. Great post, that’s a complete list of tools. Interesting. I like the fruit picker basket. Must give it a try next time. Precise weeding, deep root cutting, separating ornamental grasses, planting seeds…best garden tool I have!